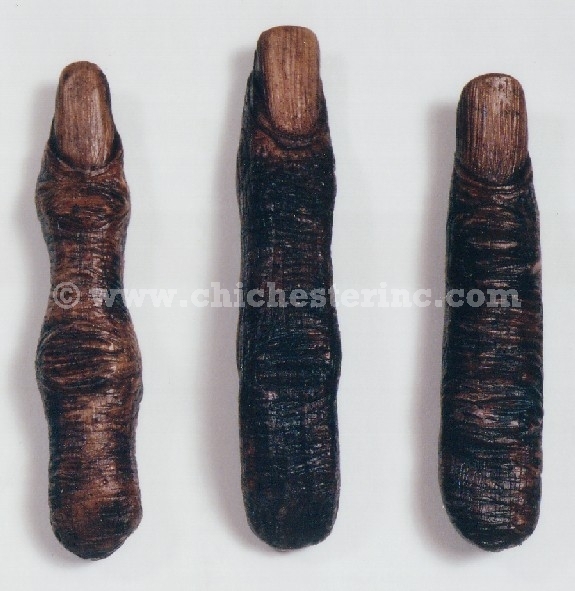 These reproduction (i.e., not real) fingers were cast from Frank's fingers. They are great as either novelty items sold the way they are or can be used to make pendants. The plastic is easily drilled. There are three assorted styles that average around 3.5" long. For Frank's Missing Finger Necklaces, please click HERE.